Philips has written to HEXUS about a new range of monitors that it has launched, with an eye on the console gaming market. The first of these new products is the Philips Momentum Monitor 436M6VBPAB. This is a 43-inch 4K HDR monitor that has been built to be "a perfect ally for your gaming console". Among its key qualities are the large quantum dot packed VA panel which meets the VESA DisplayHDR 1000 standard, low input lag, Adaptive Sync, DTS Sound, and Ambiglow. In essence, Philips believes that the home TV, most commonly used by console gamers, isn't really up to scratch for outputting entertainment content from the newest consoles. 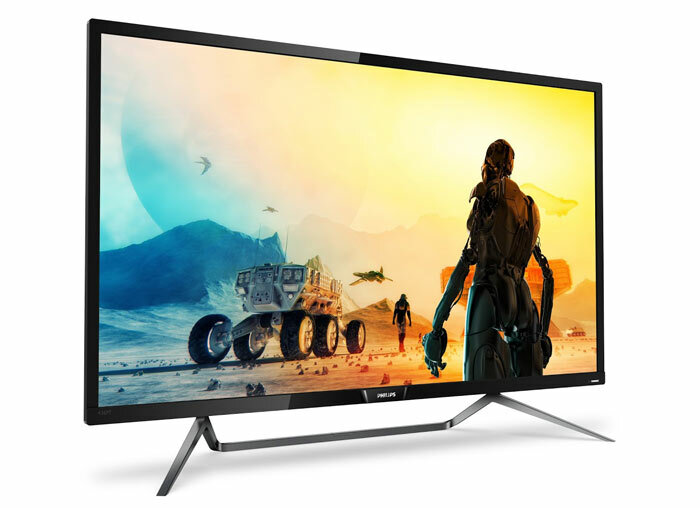 Thus it designed the 43-inch Philips Momentum 436M6VBPAB, the first in a new line, to deliver improved "picture quality, the lowest latency possible, immersive entertainment, and a user-friendly experience," for gamers. The display panel is the heart of any monitor and Philips has selected a 43-inch VA panel, enhanced by Quantum Dot Technology and its own Ultra Wide-Colour Technology to reproduce stunning visuals. 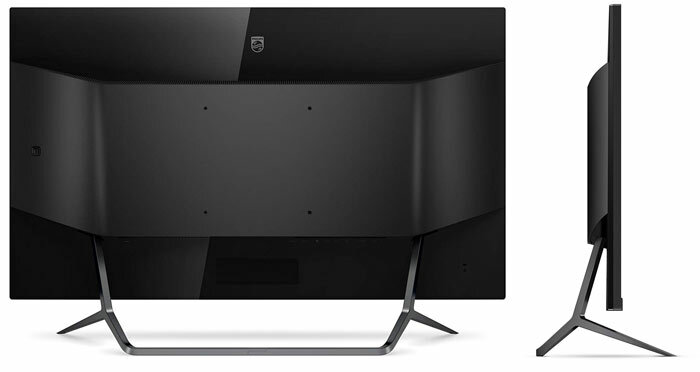 Philips claims that the Momentum 436M6VBPAB is "the world's first display to comply with the new VESA DisplayHDR 1000 standard, meaning more lifelike, vibrant visuals with superior brightness, depth, and nuance". This makes it ready for the latest 4K and HDR enhanced titles. Computer gaming is often fast paced, even frenetic, so great quality still images aren't enough - fast, responsive, and smooth action is a must. The 436M6VBPAB offers Adaptive Sync capabilities to compatible consoles for smoother, tear and stutter free gaming. Meanwhile low input lag reduces the device-to-display time for faster visual feedback and satisfying motion gaming. Additionally Philips uses a 'pixel overdrive' technology called SmartResponse, said to result in ghosting-free, blur-free images in fast-paced games and movies. Key monitor specs backing up the aforementioned performance are; a 4ms GtG response time, and a 20-80Hz refresh rate. To add to the gaming immersion, Philips has leveraged other technologies from its portfolio. Ambiglow lighting is said to particularly enhance gaming and movies. If you don't know what this is - an internal processor analyses image content and continuously adapts the colour and brightness of monitor surround lighting to match the image. Good quality audio also makes a difference to immersion and Philips claims that its built-in high-quality 7W stereo speakers with DTS Sound do the business. For connecting to your Momentum TV, there are plenty of options including USB-C, DisplayPort 1.2, Mini DisplayPort, and HDMI 2.0. Making the most out of the multiple inputs, users can use MultiView (2 sources) technology. A Philips EasyLink remote helps you control the monitor visuals (including MultiView) and sound. Conveniently the monitor has a built-in USB 3.0 hub, with Fast Charging too. Full specs are available here. 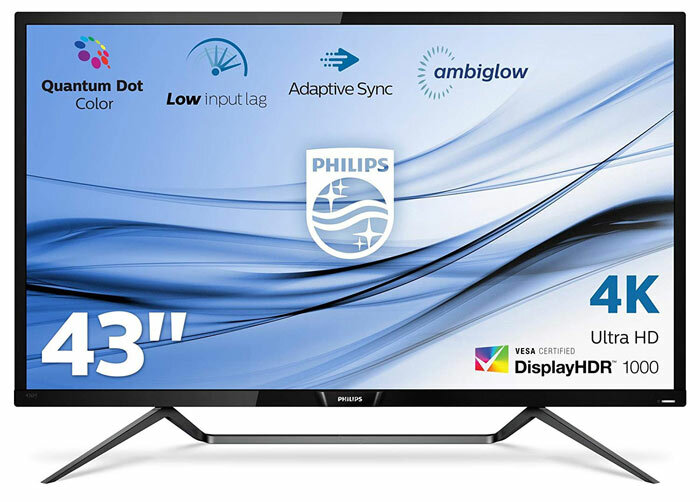 Philips told HEXUS that the RRP of the Momentum 436M6VBPAB is £899 and it is actually available now on Amazon UK for £60 less than that. 60hz? Why would I buy a monitor just for consoles? Where is the FreeSync or Gsync? If I'm buying something this huge, I'm going to use it as a monitor as well as a TV (without the TV features). Where is the FreeSync or Gsync? It's £850 so you know it's never going to have Gsync support. The Philips ‘Adaptive Sync’ is presumably FreeSync support though. The lack of local dimming on it is far more of a dealbreaker than anything else. edit: review elsewhere says 32-zone local dimming and 6ms input lag. This thing is built for more than just a gaming monitor. will wait and see what else is around come black friday, but for now this is on my shortlist for sure.